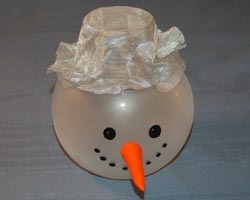 This snowman candle holder will bring a cheerful glow to any room and is the perfect decoration for winter. 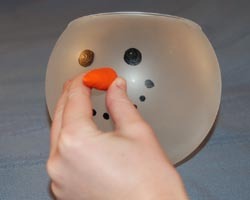 The snowman holds a votive candle inside, and is made from a small glass fishbowl that you can buy at any craft store. 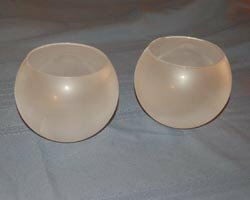 The bowl is spray painted with frost paint, which creates a beautiful glow when the candle is burning inside. 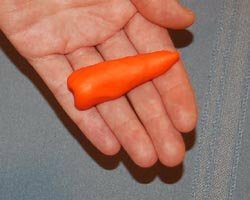 Its face is painted on with black glass paint, and a carrot nose is made from polymer clay. 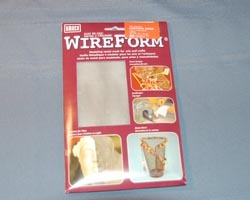 Its hat is made from craft wire mesh, which can be found at most craft stores.. Read below for the complete project instructions. 1. 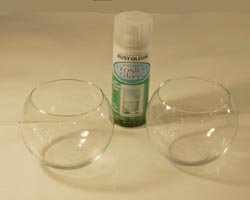 In a well ventilated area, spray paint the fishbowl with glass frosted paint and allow to dry completely. 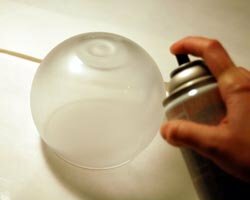 Check the progress after it is dry, and give it another coat if necessary. For my project shown here, I gave each snowman two coats of frost paint. 2. 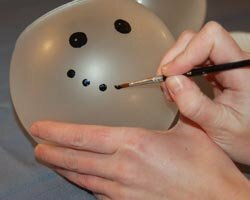 After the frost paint is dry, paint on the eyes and the smile using black glass paint. 3. 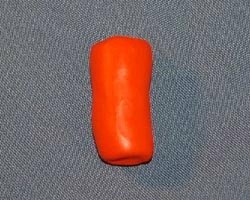 Condition approximately 0.5 ounces of the orange polymer clay by rolling it around in your hands until it is very soft and easy to work with. 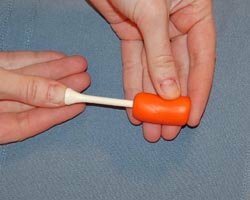 Then roll out a small cylinder. Push the end of a golf tee through the center of the cylinder as shown. This help support the carrot nose. Then, roll and shape the orange clay to form a cone shape. Bake the clay according to the manufacturer’s instructions (usually 250°F for 15 minutes). Allow to cool. 4. Hot glue the carrot nose to the snowman. 5. Cut a nine inch circle from the wire mesh. 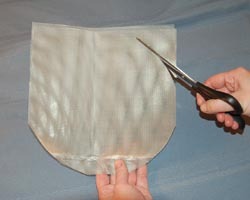 Be careful while cutting and working with the rough edges of the mesh. I recommend wearing gloves so you don’t scratch or cut yourself..
6. 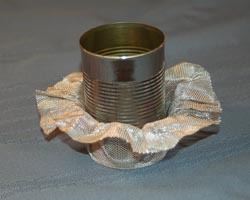 Place a soup can in the center of the circle and fold up the craft mesh all around the can, forming it well with your hands. 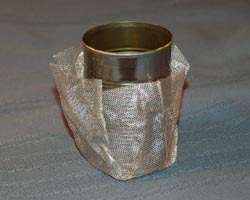 Then, make the brim of the hat by folding down the edge of the wire mesh all around the can. Remove the can and place the wire mesh hat on the snowman. 7. 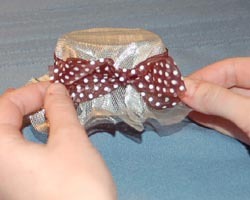 Decorate the hat by wrapping a length of ribbon around the hat, and securing with the hot glue gun. 8. 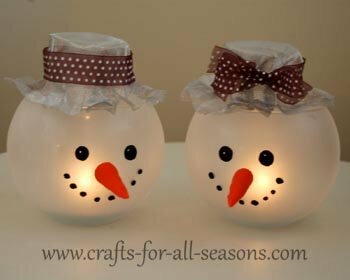 Place a votive candle (preferably in its own votive candle cup holder) inside the snowman and illuminate.